Piaggio Vehicles Private Limited was one of the firsts to bring three wheeler goods transportation concept in India. The Italian brand penetrated the commercial vehicle segment in the year 1999. 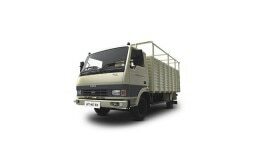 The company offers a range of cargo vehicles for a variety of applications to suit customer needs in India. The three wheeler Piaggio Ape mini truck is its most popular product. With a reasonable price, it offers excellent mileage and spacious cabin. Piaggio only sells mini truck in commercial vehicle category, price range of which starts from INR 1.47 lakhs (ex-showroom). Other products in the category include Porter 1000 and Porter 600 four wheeler cargo vehicles. The company has already made swift transition from BS-III to BS-IV long way back and now all the vehicles comply with the latest standards. Piaggio has been consciously observing the changing market trends and using its technologies to create special purpose vehicles. From chicken carrier, gas cylinder carrier, soft drink carrier, water bottle carrier to motorized tipper, water tanker and bio medical waste, Piaggio has been catering specific needs of the small business, corporate and government bodies. Being the leader in three wheeler cargo transportation, the company has a wide network of over 760 dealers and service centers spread across India. Piaggio has a strong foothold in over 20 countries from Africa to Central America. It also exports vehicles from its manufacturing plant located in Baramati, Pune.